The U.K arm of Rhino Records is poised to issue a CD version of The Smiths’ 7-inch Singles Box that was released late last year — and it’ll feature 14 more tracks than the vinyl edition. Limited to 10,000 copies, the box includes reissues of Morrissey & Co.’s first 10 U.K. singles — the aforementioned 1983 release “Hand in Glove” through 1986’s “Bigmouth Strikes Again” — plus two bonus discs, featuring the 1985 German-released “Barbarism Begins at Home” single and a second “This Charming Man” disc featuring the rare 1983 Francois Kevorkian mixes of that song (full tracklist below). 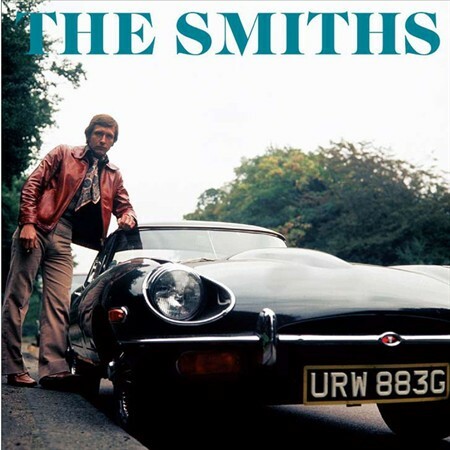 Like the 7-inch set, the tracks were remastered by Frank Arkwright and overseen by Johnny Marr. The CD set also includes a poster featuring the artwork from all 12 singles. The Smiths is one of the most brilliant bands out there. Great review! Where are the singles from Strangeways Here We Come? Box set seems somewhat incomplete without this work. at least there could be some explanation why? Explanation or no explanaton it should be in there.